This is the second edition of my new blog post series called ‘Hot Off The Shelf’ aka HOTS. You can go check out my first HOTS blog post here, where I explain exactly what this series is about. I can’t tell you guys how excited I was when I found out Wet n Wild was released in South Africa (and more importantly at the Clicks in Menlyn Shopping Centre, which isn’t too far from where I live). For those of you who are not familiar with Wet n Wild, it is a US drugstore brand. The company was founded in 1979 and initially only focussed on nail polish. It was also one of the first companies to sell makeup for under a dollar (about R 10,00). In more recent years Wet n Wild became wildly (excuse the pun haha!) popular for their Color Icon Eyeshadow Trio palettes. In 2012 the company announced its first International Beauty Ambassador – Fergie (from The Black Eyed Peas). I completely understand why people are so obsessed with the palettes because I own 3 of them (plus a backup for one of the palettes). I own Walking on Eggshells (which I have a backup for as I’ve already hit pan on 2 of the eyeshadows in the palette), Sweet As Candy and Knock On Wood and love all three! So I went to Menlyn as soon as I possibly could (week before last) and picked up 3 products (1 of which was sent to Irina in her Delish Box). For myself, I bought the Comfort Zone Color Icon Eyeshadow Palette (8 pans) and a Mega Last nail polish in Bite The Bullet. 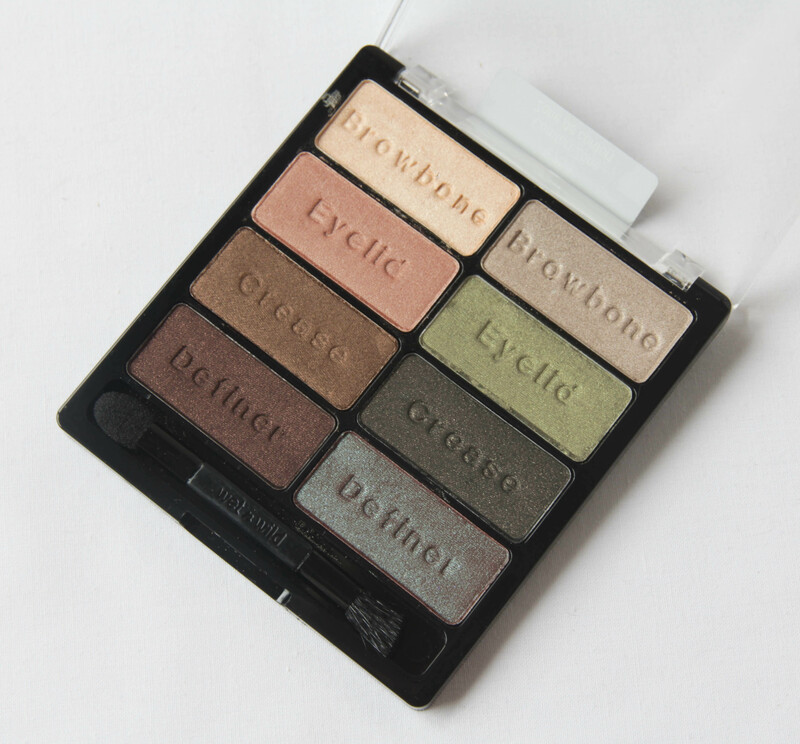 This is an earth-toned eyeshadow palette that contains 8 shades. The one shade that really caught my eye is the ‘Definer’ shade on the right, it’s a gorgeous red-brown shade with a teal duochrome (it is VERY similar to the MAC pigment called Blue Brown). This is a gorgeous dusty lavender shade. 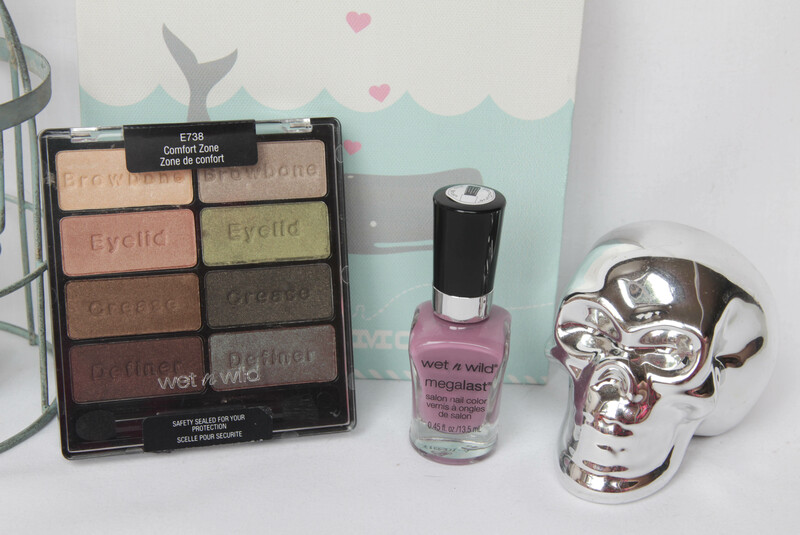 The prices of Wet n Wild products are very competitive too – I paid R 89,95 for the eyeshadow palette and R 49,95 for the nail polish. I’ll be doing a full review of the Comfort Zone palette for you guys (which will include swatches too), because I feel it’s a really good quality palette and comes at an affordable price. I’m already looking forward to getting the Silent Treatment Color Icon Eyeshadow Trio Palette, Mega Volume Mascara and a Mega Last Lip Color lipstick. That is the exact same polish I have had my eye on for forever. It is gorgeous!! Thanks, Michelle! 😀 It’s such a beautiful shade! Yeeehaaa! Can’t wait to get my hands on some of the products! Are there any lipsticks in SA yet? Oh yes, Bianca! They have quite a selection of lipsticks. I’m thinking of getting ‘Think Pink’, it’s a decent dupe for MAC Creme Cup (but I think a bit more matte, but not super matte). I love it that WnW is now available in SA! Picked up 4 polishes already and I have my eye now on another one! Bite The Bullet is one of the 4 I have at the moment and it is stunning! Def going to be looking into their palettes next time! I love this shade of polish, I don’t own anything remotely similar so I’m very happy! Definitely need to go check out the other shades of polishes because the quality is really good! OMW! Silent Treatment is PRETTY!!! So difficult to get hold of here. I haven’t been to Gardens Centre in over ten years!! But I have a nail polish and I really like it. It’s so glossy and easy to apply. I can pick up some items for you, if you’d like? Send me a list and I’ll get it for you and send it to you. Yay!! So glad you picked up this palette, it’s one of my favorites, along with Silent Treatment and Walking on Eggshells. I think, I might have this nail polish, if not one very similar to it. I also love their brushes, not a lot of people do, but I really enjoy them. I have some of their lipsticks, they are extremely pigmented, but not the most moisturizing lippies out there. Glad you are able to get some Wet n Wild products near you!! Enjoy!! I loved the nail polish on your nails, it looks fab! Hhhmmmm, maybe I’ll just get one lipstick to see what the finish and pigmentation is like…I’m not too fond of lippies that dry out the lips. Yep, Walking On Eggshells is amazing! I’m thinking they will expand to more Clicks stores, I just had a look on their Facebook page and they said hopefully early 2014. Very informative post! The nail colour looks lovely and the eye shadow palette great value!